On August 15, 2005, 4-year-old Jonathan (Yoni) Gottesman was swimming in a pool at Cathedral Oaks Athletic Club while participating in a summer activities camp recreation swim session. He was motionless and partially submerged in the shallow end of the pool and was observed by one of the children and a camp counselor who then notified one of the lifeguards. Yoni was removed from the water by the lifeguard and resuscitation efforts were initiated by that lifeguard and a swim instructor. 911 was called resulting in a response by Fire and EMS personnel. Paramedics transported Yoni to Goleta Valley Cottage Hospital where death was pronounced a short time after arrival. Prior to this incident, Yoni’s medical health was good and there were no current diagnosed medical problems. Yoni was enrolled in the “Summer Activity Camp” at the Cathedral Oaks Athletic Club (COAC) and this was his first day of attendance. The Camp was scheduled to run from August 15 – August 19, 2005, from 09:00 – 15:00 hrs. This Activity Camp was open to children between the ages of 4 years to 10 years old. There were 13 children enrolled in the camp, with ages from 4-years-old to 7-years-old. There are two pools at the COAC with two lifeguards stationed at the pool where this drowning incident occurred. Lifeguard Michael Bowen was stationed in the lifeguard stand at the shallow end of the pool, while Lifeguard David Merin was stationed at the other lifeguard stand located at the opposite end at the deeper section of the pool. However, when Yoni’s distress was finally observed and recognized, Lifeguard Merin was not present as he had abandoned his station and left the pool area. Other personnel present at the time of the incident were camp counselors on the pool deck and swim instructors in the pool teaching children to swim. After Yoni had been rendered unconscious and submerged below the water’s surface, Lifeguard Bowen was approached by Jennie Darling, an Activity Camp counselor, who pointed out a child in the water. Bowen jumped in, recovered Yoni from below the water’s surface, and placed him on the pool deck. Yoni was foaming from the mouth and was assessed to be in respiratory and cardiac arrest. Bowen and Gabriela Kasimatis, a COAC Swim Instructor, then initiated resuscitation efforts with Bowen performing chest compressions and Kasimatis, and later Clark, providing rescue breathing. Resuscitation efforts were maintained until they were relieved by Fire, Rescue, and EMS personnel as they arrived on scene. It is unclear who made the call to 911. But, the call to the 911 Operator at approximately 14:29 hrs. reported the emergency as that of a person having a seizure. The 911 Operator dispatched Santa Barbara Fire Department Engine 12 and AMR Ambulance at 14:30 hrs. for a reported seizure emergency at the COAC. When AMR Ambulance received the call, they had been close to COAC and they arrived on scene at 14:33 hrs. They did not know they were responding to a submersion incident involving a young child in cardiac arrest until they arrived at the COAC parking lot. On arrival, they were met by someone who informed them of the situation. On contact with Yoni at 14:35 hrs., the AMR Paramedics observed the lifeguards attempting resuscitation. An AED was on deck adjacent to Yoni with the electrodes in place, but NO SHOCK had been advised. The Paramedics assessed Yoni to be in full cardiac arrest with fixed and dilated pupils, and unresponsive to painful stimuli. When questioned by the Paramedics, the lifeguards stated Yoni’s downtime to be “no more than about 1 minute.” Upon arrival of Fire Department Engine 12, firefighters took over CPR from the lifeguards. During resuscitation efforts by the Paramedics, Yoni had copious amounts of fluid and vomitus in his airway making intubation difficult. Yoni was placed on a backboard and moved to the ambulance. During resuscitation and transport to the hospital, the Paramedics were unable to administer any medications due to their inability to establish a secure I.V. line. The AMR Ambulance departed the scene en-route to the hospital at 14:48 hrs. with an arrival time at the hospital at 14:53 hrs. Yoni arrived in the emergency room in a “Code Blue” condition with CPR in progress. He was pronounced dead at 15:45 hrs. Note: times were arrived at by viewing the Security Camera video footage. The District Attorney’s report stated that the video time stamp is 20 minutes off (fast). Just prior to Yoni’s submersion incident, 18-year-old Samuel Shipley, a COAC Activities Camp Counselor, was repeatedly dunking Yoni. 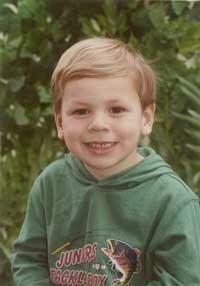 Yoni was a 4-year-old weak swimmer. This repeated dunking was entirely inappropriate and dangerous. Yet, none of the other counselors, lifeguards, or management recognized this dangerous situation or intervened to stop this activity. Immediately after Shipley releases Yoni, the security camera tape shows Yoni in a brief struggle at the water’s surface, only feet in front of the lifeguard, prior to his being rendered unconscious. As a result of the repeated dunking, Yoni would have been hyperventilating which would have contributed to hypoxia and caused an altered level of consciousness resulting in a brief struggle once Shipley released Yoni. It is also important to note that Yoni was only 41″ tall. When Shipley released Yoni, he was left unaccompanied in a section of the pool that was approximately 48″ deep, thus preventing Yoni from being able to stand or clear his head and mouth from the water. The job of Activity Camp Counselor for COAC was Samuel Shipley’s first formal job. He had been interviewed and was hired by Elizabeth Heller, the Activities Camp Director. Yet, once he was hired, according to Shipley he did not receive any training from Heller or Esther Clark, the Aquatics Director, on how to handle young children. Although Heller provided basic information about pool rules, he was never provided anything in writing. According to Shipley, he regularly would repeatedly dunk children and no one ever corrected him, including Heller. During the Activity Camp recreation swim session, Shipley had not been assigned to watch specific children and did not know that Yoni was required to stay in the shallow end of the swimming pool. Shipley testified that as an Activity Camp counselor he was encouraged to be in the pool and play with the children, although this was not mandatory. According to Shipley he felt qualified for his position as counselor, although his only training was instruction in early childhood development in a health class in high school. Upon being hired by the COAC, Shipley was not provided any training in emergency procedures, and was not trained or certified in CPR. When reviewing the security tape of this incident, it shows Shipley dunking Yoni approximately 12 times. Elizabeth Heller worked as the Activity Camp Director at COAC during the summers of 2004 and 2005. Valentine, the Club Manager, was her supervisor. Heller had a B.A. degree in Theater Arts and prior to working at COAC, she worked as a receptionist for a shoe company, and she worked at the Santa Barbara Zoo Camp for several summers. The Zoo Camp has no pool and does not take children to a pool or beach. Heller has never been certified as a lifeguard and none of her previous work experience had any dealings with swimming activities. When she was hired by the COAC, she was not provided any training in victim recognition, and therefore, could not provide any training in this regard to her staff. After she was hired, she did receive some discussion on safety protocols from Esther Clark, the Aquatics Director, and Valentine. Heller took early childhood development classes in school. She was not familiar with California rules regarding activity camps. She obtained CPR for Adult certification after being hired by COAC. No one told her that camp counselors should be trained and certified in CPR for Children. No emergency pool protocols were ever discussed with her by Clark or Valentine. Heller stated that the recreation swim session of the Activity Camp was the last activity of the day for the children. Prior activities included tennis, lunch, and basketball. When Yoni’s submersion incident occurred, all three camp counselors (Shipley, Darling, and Safinya) were at the pool. Heller had hired each of them, although she didn’t know if Shipley or Safinya had any experience with children and water activities. However, she does not recall giving any of them training in emergency procedures for the pool or any information on aquatic safety. Clark told her the counselors and lifeguards were responsible for watching the children in the pool. She did instruct the counselors they would not be in the pool with the children, but needed to be around the pool watching and not doing anything else, but she does not recall establishing protocols for how many children each counselor should watch and does not recall assigning specific children to the counselors. Heller stated that at the Zoo Camp they had a policy of assigning specific children to a counselor and that this was also general practice during COAC field trips – but not for recreation swim sessions. Heller stated that a swim test was given to every camper in order to determine where the children could be in the pool. These swim tests were administered by Jennie Darling, the Assistant Activities Camp Director, and by the lifeguards. According to Heller, the counselors were supposed to know and enforce which campers could swim in the deep end, based on their swim test. Heller had a manual for the Activities Camp staff that required campers to wear a wristband when in the pool area. This same manual required counselors to be in the pool with the children, but neither she, nor Darling, enforced that requirement. She was fully aware the counselors were not in the pool everyday with the children. She was aware, however, that the pool rules state that anyone 13-years-old or younger is required to be accompanied by an adult. There was never any discussion prior to this incident about having flotation devices available for the children. At the time of the incident, Heller was in the cafeteria at the COAC having lunch. It was sunny out, but there was no requirement for the counselors to wear sunglasses. She is now aware that Shipley had been repeatedly dunking Yoni prior to his submersion. But, according to Heller, she did not know Shipley had been doing that and that Darling should have stopped this behavior. Jennie Darling was one of 3 camp counselors present at the time of the incident. Although she was certified as a lifeguard, she was not working in that capacity for the COAC. She was certified in CPR for Adult Victims only, which was provided by COAC. She had never been informed she needed CPR for Child Victim training and certification. She is now aware of the CPR for Professional Rescuer Course, which she is certified in now, but was not aware of that certification at the time. Darling reported to Elizabeth Heller and does not believe she received the appropriate training when she was hired and employed by the COAC. As a counselor, she did not receive any training on protocols for watching the pool and did not attend any safety seminars conducted by COAC and was not provided any information on victim recognition or surveillance protocols. She had worked at the COAC winter camp previous to the summer session. But, there were fewer children during the winter camp, and there were no lifeguards provided during recreation swim sessions. According to Darling, she administered the swim test to the children the day of the incident and she told Yoni not to swim past the rope. Yet, according to all the other testimony, as well as the viewing of the security tape, the lifeline (rope) was not up at the time of the incident. She also stated that most of the children who took the swim test were told to stay in the shallow end of the pool. While working at COAC, there were no pool emergency drills or discussions about emergency procedures. She was not aware of any established EAPs or ERPs, and had not seen any type of Aquatics SOP Manual. There was no lifeguard training, safety or emergency protocol training or surveillance training provided by Clark, and there was never any meeting spelling out the responsibilities of the lifeguards versus that of the counselors. She also does not remember Clark ever going over the pool rules with the Activity Camp staff. According to Darling, she had reservations about the lifeguards, but never voiced a formal complaint. Darling stated she had seen Yoni prior to the recognition of the incident, but she thought he “was playing a breath-holding game.” She had been seated slightly behind the shallow water lifeguard stand and had been wearing polarized sunglasses. A child next to Yoni noticed him at the same time as Darling. Darling saw that Yoni was “not blowing bubbles” so she pointed out Yoni to the lifeguard and asked the lifeguard to get him. When Yoni was removed from the pool by the lifeguard, Darling observed Yoni to be cyanotic (“turning purple and his chest was bloated”). While CPR was being administered, she observed foam coming from Yoni’s mouth. During the resuscitation effort, she felt she was not prepared to deal with this emergency, and that she did not feel qualified. Gabriela Kasimatis worked at COAC as a swim coach and swim instructor. At the time of the incident, this was her second summer. Although she did not work as a lifeguard for COAC, she was certified as a lifeguard as well as in CPR for the Professional Rescuer. She had worked as a lifeguard at La Mesa Pool and Mount Miguel High School and had received instruction on scanning while working at those pools. In 2005 she had been recertified as a beach lifeguard as well. She had been trained and certified in the use of an AED and knew that the AED at the COAC was kept under the reception desk. She didn’t know if the club had oxygen administration equipment or a suction device, and she was not trained in the use of either oxygen administration or suctioning. Esther Clark, the Aquatics Director, was her supervisor. Kasimatis stated she attended “all staff meetings”, but never participated in any in-service training programs conducted by anyone at COAC. She does not know if there was any type of Aquatics Manual that was issued to any of the aquatics staff. Earlier in the day, Kasimatis gave Yoni a swimming lesson, along with 4 other boys the same age. Her assessment of Yoni was that he was inattentive and over confident in his swimming abilities. Kasimatis was not aware of any COAC Emergency Action Plans or Emergency Response Plans. She never received any documentation pertaining to these. At the other pools she worked, the staff went over the facility EAPs, but not at the COAC. While she was teaching in the pool, she heard a commotion and observed one of the lifeguards carrying Yoni out of the pool. After Yoni was assessed to be in respiratory and cardiac arrest, while one of the lifeguards performed chest compressions, she administered rescue breathing while standing in the water alongside the pool deck. During the resuscitation effort, she observed Yoni to be cyanotic and he vomited and had foam in his mouth. She turned Yoni on his side in an attempt to clear his airway and performed a finger sweep. She continued providing rescue breathing to Yoni for approximately 5 minutes until she felt ill and had to stop, at which time Esther Clark took over rescue breathing. Lifeguard Merin was 21-years-old when he was working as a lifeguard at COAC. He was certified in Lifeguarding and CPR for the Professional Rescuer in June 2005 and had been interviewed for the position by Esther Clark on June 29, 2005. Merin had previous lifeguard experience at the Montecito Country Club and the YMCA. When he was hired by COAC, he was explained the pool rules, but no site-specific pre-service or in-service training was conducted by Esther Clark or anyone from the COAC. Merin does not recall any EAPs, ERPs, or SOPs for the COAC. Lifeguard Merin had been previously diagnosed with Attention Deficit Disorder and has Ritalin prescribed for this. Ritalin enhances his concentration, but he does not remember whether or not he had taken his medication on the day of the incident. He also has allergies, and he may have taken an allergy pill that day. Prior to the incident, Lifeguard Merin had been stationed at the lifeguard stand in the deeper portion of the pool, on the opposite side of the other lifeguard, Michael Bowen. According to Merin, he was not informed that Yoni was required to stay in the shallow end of the pool and he was not provided information regarding Yoni’s swim lesson or swim test. He saw Shipley repeatedly dunking Yoni, but did not think this activity posed any danger to Yoni. There was no umbrella over his lifeguard stand, and Lifeguard Merin does not recall whether or not he had sunglasses while guarding. Prior to the incident, he wasn’t feeling well so he left the pool to get a soda, after telling Lifeguard Bowen he was leaving the pool area. Merin claimed he left the pool before Yoni exhibited any signs of distress. According to Lifeguard Merin, he is not sure if he was trained in the use of a Personal Resuscitation Mask, a Bag-Valve-Mask Resuscitator, Oxygen Administration, or in the use of an AED. According to the Montecito County Club, Merin had been fired from the club for inattentiveness on August 1, 2005. However, Merin disputes he was fired. Based on the fact that he abandoned his post, and the fact he doesn’t remember anything about his lifeguard and CPR training, leads me to believe he wasn’t appropriately trained or qualified to be a lifeguard and these issues should have been assessed by the COAC. In June 2004, he participated in and completed an American Red Cross CPR for the Professional Rescuer course. In June 2005, Lifeguard Bowen participated in an American Heart Association Heartsaver AED for Adult Victim course sponsored by COAC. This course included information and skills in Rescue Breathing, CPR, First Aid for Foreign Body Obstruction of the Airway, and AED use for adult victims only. However, lifeguards should be trained and certified to provide basic life support care for adult, child, and infant victims and should be trained and certified in either the American Red Cross’ CPR/AED for the Professional Rescuer course, the American Heart Association’s CPR for Healthcare Providers course, or an equivalent nationally-recognized course. Bowen was a competitive swimmer. On the morning of the incident, Bowen had worked out swimming 5,000 – 6,000 yards. Prior to and at the time of Yoni’s submersion, Lifeguard Bowen was stationed in the lifeguard stand located at the end of the shallow water section of the swimming pool that the Activity Camp children were using. According to Bowen, “each lifeguard was responsible for the entire pool deck including both pools, (and) both Jacuzzi’s”. The lifeguard stands were moveable, but they were typically placed in the shallow end and the opposite deep end of the swimming pool. According to Bowen, he was “continually scanning the area he was responsible for”, which is clearly not the case as the security camera video shows Yoni unresponsive in the water for 8 minutes, only feet in front of where Bowen was stationed. Lifeguard Bowen was approached by Counselor Jennie Darling who informed him of Yoni in the pool. Bowen, “saw a kid on the bottom of the pool that did not look like he was conscious”, at which time he kicked off his sandals and jumped in. Upon removal of Yoni from the water, Bowen assessed Yoni to be cyanotic and in full cardiac arrest. He further stated, “I took off his goggles…. We rolled him on his side because he appeared to be vomiting and then we began CPR, she (Gabriela Kasimatis) giving rescue breaths, me giving chest compressions.” Bowen continued giving chest compressions until the Paramedics arrived. Esther Clark, the Aquatics Director for COAC, was responsible for the hiring and supervising of the lifeguards and had been employed by COAC since 2002. When she was hired by Valentine, neither her knowledge, skills, or vision was assessed by COAC. According to Clark, she had been employed previously as a lifeguard by the California Lifesaving Association. (However, upon researching this, I could only locate a California Surf Lifesaving Association at www.cslsa.org. Based on my evaluation of their materials, they are an association of surf lifesaving organizations, and do not hire and/or provide lifeguards themselves). 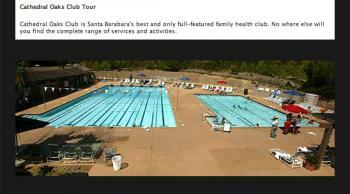 Clark had also worked at the Carpinteria Community Pool for one year. However, she wasn’t responsible for hiring lifeguards in that position as that was done by Human Resources. Clark had been certified through in the American Red Cross in lifeguarding and CPR since 1990. She did not know whether or not the lifeguards were trained and certified in child CPR, although she collected and maintained their certificates. She was also not knowledgeable of the American Red Cross CPR for the Professional Rescuer curriculum and certification until after Yoni’s death, at which time she was trained and certified in this program on October 30, 2005. Clark stated that had she known about the CPR for the Professional Rescuer course and had she asked to take the course, the club would have sent her. Clark assumed the lifeguards were appropriately trained in lifeguarding and CPR because they were “certified”. She did nothing to assess their knowledge and skills, nor did she take any action to “qualify” them for their position and responsibilities as a lifeguard. When asked about an Aquatics Handbook, she admits there was one, but did not recall its contents. Clark never participated in any type of lifeguard management program and did not know such a program existed. As the Aquatics Director, she did not conduct any in-service training programs for the lifeguards prior to Yoni’s death and did not require the lifeguards to participate in in-service training. Although Clark was responsible for hiring the lifeguards, she did not check references prior to hiring them. Bowen had been on staff since 2004, while the other lifeguards were new. When she hired Bowen, she didn’t know he didn’t have any previous lifeguarding experience. Clark further admitted that she did not know Merin had been fired from another pool for inattentiveness. Clark did not establish any site-specific surveillance protocols to be used by the lifeguards at COAC. After Yoni’s death, she instituted the 10/20 Rule. She claims she had been aware of this rule prior to the incident, but did not implement it until after the incident. Clark had no knowledge of whether the lifeguards were each assigned a specific Zone of Responsibility, or whether each lifeguard was responsible for total coverage of the pool. She never assessed the effectiveness of the lifeguards’ surveillance, and had never checked the security tapes as an assessment tool to monitor the lifeguards’ surveillance effectiveness and operations. Clark also admitted there was no rotation schedule established for the lifeguards prior to the incident. Clark did not give any specific direction to the lifeguards, other than the number of children expected and their arrival time. She doesn’t recall telling them anything about safety regarding the children. Clark did not know about any swim test protocol to determine where a child can swim in the pool. Prior to the incident, Merin was located at the pool’s deep end, while Bowen was located at the shallow end. According to Clark, the pool is approximately 17 – 18 yards long and ranges in depth from 3.5′ to 6′, although she assumes the depth markers are accurate as she has never assessed the pool depths. Clark was informed by Jennie Darling that a child had been pulled out of the pool and that CPR was in progress. When she arrived at the pool, Kasimatis had been giving rescue breaths while Bowen had been performing chest compressions. When Kasimatis got sick, Clark took over rescue breathing. Clark doesn’t know who called 911. She did not make the call, nor did she direct anyone to do so. But, she believes the 911 call had to have been made from the front desk. She doesn’t know if the 911 calling protocols were in the aquatics manual at the time. During Clark’s deposition she admitted she did not realize the danger of having a young child dunked repeatedly. She admitted that having a young child in the shallow end where he could not stand was a dangerous situation. Clark had never developed an SOP Manual, nor had she developed Emergency Action Plans or Emergency Response Plans. She also admits that she never conducted any emergency drills to evaluate the competency of the lifeguards. During Clark’s deposition, she stated she had never heard of the RID Factors. Yet, the American Red Cross Lifeguard training materials have included information on the RID Factors for at least the last 10 years. She did not know what responsibilities the counselors of the Activity Camp had while the children were in the water. She knew Heller was responsible for the Activity Camp, but did not know whether or not Heller supervised or instructed her counselors regarding pool rules and responsibilities. Clark had no knowledge whether or not the Activity Camp children were given a swim test before they entered the pool, and there was no system in place to designate swimmers from non-swimmers while they were in the pool. When asked about the lifeguards wearing sunglasses, she responded that she did not know whether or not the lifeguards had sunglasses during the time of this incident. Clark now requires them to wear sunglasses, but doesn’t require them to be polarized. During Clark’s deposition, she was shown the security tape of the events leading up to Yoni’s drowning, as well as the submersion incident itself. She claims that Yoni was not being “dunked”, but rather, this was a practice of “bobbing” which is acceptable because Yoni was in the hands and arms of the counselor. When asked about the availability and use of resuscitation equipment, Clark admitted she did not know what a resuscitation mask is. She stated there was an AED at the pool, although other testimony indicates it was located under the reception desk. Clark admits she was not trained in oxygen administration. 1. Failure to prevent Activity Camp counselor Samuel Shipley from engaging roughhousing and repeatedly dunking Yoni. 2. Failure to enforce rules and regulations established by COAC prohibiting roughhousing and dunking of children. 3. Failure to recognize Yoni’s distress for over 8 minutes as he struggled at the surface of the water, deteriorated into unconsciousness, respiratory arrest, and cardiac arrest, and then submerged below the water’s surface within direct line of sight of both lifeguard stations. 4. Failure to strategically position themselves to provide constant, effective, and vigilant surveillance of all swimmers, particularly Yoni Gottesman, a 4-year-old weak swimmer in water over his head. 5. Failure to recognize the hazard of a swimming pool with depths ranging from 42″ to 72″ with young children in the swimming pool without adult “touch supervision” being provided. 6. Failure to recognize the heightened risk of a young child 41″ tall, without parental supervision; without the use of a Personal Flotation Device (PFD); and without an adult providing “touch supervision”. 7. Failure to recognize the need for supervision and accountability to be maintained by the Activity Camp counselors of the young children while they were in the swimming pool. 8. Failure to install and maintain a lifeline to divide the shallow section of the swimming pool from deeper water. 9. Failure to differentiate Zones of Responsibility and to adjust their surveillance protocols to guarantee the safety of all swimmers within their zones. 10. Failure to use accepted surveillance protocols to supervise young children in the swimming pool. 11. Potential failure to wear polarized sunglasses to prevent glare, light reflection, etc. in order to provide effective surveillance of everyone in the outdoor swimming pool. 12. Failure to maintain “CPR for the Professional Rescuer” certification which includes adult, child, and infant CPR resuscitation skills, positive pressure ventilation skills, and the use of positive pressure ventilation equipment, as well as the use of Automated External Defibrillators (AEDs). 13. Failure to have positive pressure ventilation equipment immediately available, and failure to use positive pressure ventilation equipment during the resuscitation effort of Yoni Gottesman. 14. Failure to perform CPR according to the accepted protocols established by the American Heart Association and the American Red Cross. 15. Failure to implement an appropriate Emergency Action Plan (EAP) at the time of this incident and failure to direct someone to make a call to 911 to stipulate a submersion incident of a young 4-year-old child. 1. Failure to effectively screen lifeguard candidates to determine their knowledge and skill level prior to hiring them, as well as the failure to appropriately check references and work experience. 2. Failure to provide site-specific pre-service training for all lifeguard personnel. 3. Failure to develop surveillance protocols to be used by all lifeguard personnel. 4. Failure to assess the effectiveness of the lifeguards’ surveillance. 5. Failure to develop surveillance, supervision, and accountability standards for the Activity Camp counselors. 6. Failure to assess the level of supervision provided the Activity Camp children by their counselors. 7. Failure to define Zones of Responsibility for lifeguard personnel. 8. Failure to define activity zones within the swimming pool based on the skill level and height of children. 9. Failure to establish safety practices for children and counselors during Activity Camp swim sessions. 10. Failure to assess the lifeguards’ knowledge and skill level pertaining to victim recognition, hazard identification, and risk assessment. 11. Failure to conduct regular in-service training for lifeguard personnel. 12. Failure to conduct victim recognition and emergency response drills for lifeguard personnel. 13. Failure to develop Emergency Action Plans (EAPs) and to rehearse these plans by lifeguard personnel. 14. Failure to develop Emergency Response Plans (ERPs) for submersion incidents, and failure to train and drill lifeguard personnel in these plans. 15. Failure to develop an Aquatics Standard Operating Procedures (SOP) Manual spelling out the duties and responsibilities of lifeguard personnel, as well as the Emergency Action Plans and Emergency Response Plans for COAC aquatic facilities and their personnel. 16. Failure to educate lifeguard personnel about the physical hazards posed to young children caused by the swimming pool depths of 42″ to 72″. 17. Failure to install and maintain a lifeline across the swimming pool to differentiate shallow from deep water. 18. Failure to require Activity Camp Counselors to provide “touch supervision” of young children during recreational swim sessions. 19. Failure to require lifeguard personnel to enforce facility rules and regulations as they pertain to NO ROUGHHOUSING and NO THROWING. 20. Failure to provide Personal Flotation Devices (PFDs) to young children who are not being provided appropriate “touch supervision”. 21. Failure to define activity zones within the pool for children, based on the childrens’ skill level and height. 22. Failure to provide positive pressure ventilation equipment for immediate use by lifeguard personnel to include Personal Resuscitation Masks and appropriately-sized Bag-Valve-Mask Resuscitators. 23. Failure to provide site-specific training to lifeguard personnel in the need for and use of positive pressure ventilation equipment. 24. Failure to provide airway management equipment for use by lifeguard personnel during emergency resuscitation incidents to include manual airway suction devices to clear a compromised airway. 25. Failure to provide oxygen administration equipment for use by lifeguard personnel for the treatment of hypoxia and the management of respiratory and cardiac emergencies to include an oxygen tank, regulator, and an appropriate delivery device, such as a Bag-Valve-Mask Resuscitator. 26. Failure to assess the needs of the COAC to have appropriate emergency resuscitation equipment and oxygen administration equipment. 27. Failure to conduct a Threat Assessment of the swimming pool and the activities conducted in and around the pool to determine the physical hazards and those activities that may place young children at heightened risk. 28. Failure to develop an appropriate Risk Management Plan to mitigate the hazards and risks and to eliminate or reduce the danger to persons engaged in aquatic recreation activities. 29. Failure to develop an appropriate and effective rotation system for lifeguard personnel. 30. Failure to develop an appropriate break system for lifeguard personnel to assure their continued and effective surveillance of swimmers. 31. Failure to issue and/or require the use of Polarized Sunglasses by lifeguard personnel. 32. Failure to supervise and assess the abilities of lifeguard personnel. 33. Failure to train lifeguard personnel in the location and use of the facility’s Automated External Defibrillator (AED). 34. Failure to establish protocols to prevent a lifeguard from abandoning his/her post while swimmers, especially young children, are in the swimming pool. 35. Failure to require strategic position of lifeguard personnel. 36. Failure to maintain lifeguards’ certifications in American Red Cross “CPR for the Professional Rescuer” or the American Heart Association’s “CPR for Healthcare Providers”. 1. Failure to adhere to the Activity Camp’s own rules and regulations specifying that camp counselors must be in the pool with Activity Camp children. 2. Failure to maintain accountability and supervision of children within their charge. 3. Failure to strategically position themselves in the pool area during recreational swim sessions. 4. Failure to adhere to the facility’s regulations pertaining to NO ROUGHHOUSING and NO THROWING. 5. Failure to restrict children to specific sections of the swimming pool based on their skill level. 6. Failure to provide “touch supervision” to young children during recreational swim sessions. 7. Failure to provide Personal Flotation Devices (PFDs) to young children. 8. Failure to recognize Yoni’s heightened risk resulting from Counselor Shipley’s roughhousing and dunking of Yoni. 9. Failure to recognize Yoni’s distress. 10. Potential failure to wear polarized sunglasses while supervising children in and around the swimming pool. 1. Failure to provide site-specific pre-service training to Activity Camp Counselors as it pertains to required supervision of children during recreational swim sessions. 2. Failure to develop surveillance protocols to be used by Activity Camp Counselors. 3. Failure to develop supervision and accountability standards for the Activity Camp Counselors. 4. Failure to assess the level of supervision provided the Activity Camp children by the Activity Camp Counselors. 5. Failure to define Zones of Responsibility for Counselors during recreational swim sessions. 6. Failure to define activity zones within the pool based on the skill level and height of children. 7. Failure to establish safety practices for children and counselors during recreational swim sessions for Activity Camp children. 8. Failure to assess the Activity Camp Counselors’ knowledge and skill level pertaining to victim recognition, hazard identification, and risk assessment. 9. Failure to conduct regular in-service training for Counselors. 10. Failure to conduct victim recognition and emergency response drills for Counselors. 11. Failure to develop Emergency Action Plans and to rehears these plans by Counselors. 12. Failure to educate Counselors about the physical hazards posed to young children resulting from the water depths of 42″ to 72″. 13. Failure to require Activity Camp Counselors to provide “touch supervision” to young children during recreational swim sessions. 14. Failure to require Counselors to adhere to facility rules and regulations as they pertain to NO ROUGHHOUSING and NO THROWING. 15. Failure to provide Personal Flotation Devices (PFDs) to young children who are not being provided appropriate “touch supervision”. 16. Failure to define activity zones within the pool for children, based on their skill level and height. 17. Failure to assess the needs of the COAC to have appropriate emergency resuscitation equipment and oxygen administration equipment. 18. Failure to issue and/or require the use of Polarized Sunglasses by Counselors for use during recreational swim sessions. 19. Failure to assign specific campers to specific counselors during recreational swim sessions. 1. Failure to establish Operational Protocols for the Aquatics Staff including the Aquatics Director, the Lifeguards, and the Swim Instructors. 2. Failure to establish Operational Protocols for the Activity Camp Staff as it relates to their use of the aquatics facilities and their supervision of children while using the aquatic facilities. 3. Failure to develop an SOP Manual for the Aquatics Staff, including the Aquatics Director, the Lifeguards, and the Swim Instructors, that would include operational standards and protocols, Emergency Action Plans (EAPs) and Emergency Response Plans (ERPs). 4. Failure to develop an SOP Manual for the Activity Camp Staff, including the Activity Camp Director and Counselors, that would include operational standards and protocols, Emergency Action Plans (EAPs) and Emergency Response Plans (ERPs). 5. Failure to educate and/or provide appropriate training for the Aquatics Director in Aquatic Facility Management, Lifeguard Training and Operations, and Emergency Preparedness and Response, and failure to assess the Aquatics Director’s capabilities in these areas. 6. Failure to educate and/or provide appropriate training for the Activity Camp Director in Incident Prevention, Emergency Preparedness, and Response. 7. Failure to establish appropriate hiring practices for use by the Aquatics Director and the Activity Camp Director to hire lifeguard personnel and Activity Camp Counselors. 8. Failure to require the Aquatics Director to conduct site-specific pre-service and continuous in-service training to qualify the lifeguard personnel. 9. Failure to require lifeguard personnel to be certified in and to maintain certification in “CPR for the Professional Rescuer” by the American Red Cross, or “CPR for Healthcare Providers” by the American Heart Association. 10. Failure to ensure lifeguard personnel were appropriately trained, qualified, and assessed in victim recognition. 11. Failure to ensure Activity Camp Counselors were appropriately trained in victim recognition. 12. Failure to ensure Activity Camp Counselors were trained in and capable of providing appropriate supervision to children during recreational swim sessions. 13. Failure to provide Bag-Valve-Mask Resuscitators for use by lifeguard personnel for the appropriate response to respiratory distress/arrest and cardiac arrest patients. 14. Failure to provide Personal Resuscitation Masks for use by lifeguard personnel for the appropriate response to respiratory distress/arrest and cardiac arrest patients. 15. Failure to provide training to lifeguard personnel in the use of airway management equipment, such as a manual hand-held suction device, for use during emergency resuscitation incidents. 16. Failure to provide lifeguard personnel with a manual hand-held suction device for use during emergency resuscitation incidents. 17. Failure to provide training to lifeguard personnel in oxygen administration. 18. Failure to provide lifeguard personnel with oxygen administration equipment. 19. Failure to implement and enforce facility rules and regulations and to assure that lifeguards and Camp Counselors were adhering to the facility’s rules and regulations as well as enforcing them. 20. Failure to conduct a Threat Assessment of the swimming pool facilities to identify the hazards and risks and to mitigate them, as well as to reduce or eliminate the danger to young children engaged in recreation swim activities. 21. Failure to require strategic positioning of lifeguard personnel during recreation swim activities. 22. Failure to develop Emergency Response Plans and to be sure all appropriate staff were trained and drilled in the implementation of these plans. 23. Failure to require site-specific surveillance protocols to be used by lifeguard personnel and Activity Camp Counselors during recreation swim activities. 24. Failure to provide and/or require the use of Polarized Sunglasses by lifeguard personnel and Activity Camp Counselors supervising children at the outdoor swimming pool. 25. Failure to install a lifeline to separate the shallow end from the deeper end of the swimming pool during recreation swim activities. 26. Failure to establish activity zones for children based on their swimming ability, degree of supervision, and their height. 27. Failure to establish Zones of Responsibility for lifeguard personnel. 28. Failure to develop facility-use guidelines for the Activity Camp Counselors during recreational swim sessions. 29. Failure to develop a comprehensive Risk Management Program for the COAC, to include the aquatics facilities, the Activity Camp, etc. 30. Failure to install an emergency telephone at the pool with direct line communications to the 911 operator. 31. Failure to develop a comprehensive Emergency Action Plan and Emergency Response Plans for the COAC, to include the aquatics facility, the Activity Camp, etc. Lifeguard training programs are designed to provide lifeguard candidates with the skills and knowledge necessary to keep patrons engaged in aquatic recreation activities safe while they are in and around the water. The focus of these training programs is on the prevention, recognition, and management of submersion and aquatic injury incidents. There are numerous lifeguard training and certification programs, but each of them recognizes three major modes of training – prerequisite, pre-service, and in-service. Once a lifeguard candidate completes his/her course of instruction (prerequisite), it is the responsibility of the hiring entity to assess the lifeguard candidate’s skills, knowledge, and personal characteristics, and then conduct site-specific pre-service training to qualify the lifeguard to work at that facility. That entity must then conduct continuous in-service training to maintain the skill and knowledge level of the lifeguard. And, they must continuously assess the lifeguard’s ability to adhere to the operational protocols developed for that facility. Yet, according to the testimony of the COAC owners, managers, and Aquatic Director, in addition to not checking the references of the lifeguards, the COAC failed to assess the lifeguard candidates’ knowledge and skills prior to hiring them; they failed to develop and implement operational standards for the lifeguards, including surveillance protocols, Emergency Action Plans, or Emergency Response Plans; they failed to conduct site-specific pre-service training for the lifeguards to qualify them to work at the COAC; they failed to conduct any in-service training; and they failed to conduct any emergency drills or to assess the lifeguards’ ability to provide effective and vigilant surveillance of children using the COAC aquatic facilities. The COAC failed to develop and implement a Risk Management Program to assess the physical hazards of the aquatic facilities or to assess the activities that placed their Activity Camp children at heightened risk. And, they failed to develop and implement prevention strategies to mitigate or reduce the hazards, risks, and dangers to the Activity Camp children using the COAC aquatic facilities. On August 15, 2005, 4-year-old Jonathan (Yoni) Gottesman drowned while participating in a recreational swim session conducted as part of the Activity Camp sponsored by and conducted at the Cathedral Oaks Athletic Club. There were two lifeguards on duty, in addition to several counselors and other staff. Yet, no one understood or stopped the dangerous actions being taken by one of the counselors, Samuel Shipley, during which time he continuously dunked Yoni and then abandoned him in water over his head. Yoni then struggled for a brief time before he was rendered unconscious and deteriorated into cardiac arrest as he submerged below the water’s surface, in direct line of sight of at least one lifeguard, Michael Bowen, and several counselors for more than eight (8) minutes. During this time, one lifeguard, David Merin, actually abandoned his post and left the pool area entirely, while the other lifeguard (Bowen), only a few feet away from Yoni, failed to observe and recognize Yoni’s distress and submersion, and he failed to respond in a timely manner to rescue Yoni and prevent his deterioration into cardiac arrest. Had the COAC developed and implemented appropriate operational standards for the lifeguards, Aquatics Director, and Activity Camp personnel, this incident would have been prevented entirely, or these same personnel would have recognized the potential for this incident and intervened appropriately to either prevent the incident or recognize Yoni’s early signs of distress. Failing to prevent this incident and failing to recognize Yoni’s distress in a timely fashion resulted in his submersion and drowning. Had his distress been recognized early and appropriate intervention and rescue provided, Yoni would not have deteriorated into cardiac arrest and he would have survived this incident. The Activity Camp Director (Heller) failed to establish and/or enforce accountability, supervision, and operational protocols for the Activity Camp counselors, while the Activity Camp Counselors (Shipley, Safinya, and Darling) undertook and failed to prevent dangerous actions, and failed to maintain appropriate accountability and supervision of the children in their charge. The Lifeguards (Bowen and Merin) were entirely inattentive; they were not strategically positioned; they were not appropriately trained and qualified; they failed to prevent dangerous actions on the part of the counselors; and they failed to recognize Yoni’s distress or to perform a rescue in a timely manner. The Aquatics Director (Clark) failed to develop surveillance and operational protocols for the lifeguards; failed to appropriately train and qualify the lifeguards; failed to assess the lifeguards’ ability to provide adequate and effective patron safety and surveillance; failed to establish operational protocols for groups using the COAC aquatic facilities; and failed to drill the lifeguards and assess their ability to effectively prevent, recognize, and manage emergencies in and around the pool. The owners and management of COAC allowed dangerous conditions to develop and exist. Unqualified personnel were hired and assigned to critical positions such as the Aquatics Director and Activity Camp Director. They failed to provide appropriate training for their personnel. They failed to establish appropriate operational protocols for both the Aquatics and Activity Camp facilities and programs. They failed to develop a comprehensive Risk Management Program and failed to develop appropriate prevention strategies and operational protocols. And, they failed to assess the Aquatic and Activity Camp operations to assure he health and safety of the children placed in their care. In other words, they ignored the safe practices and operational standards advocated by such organizations as the American Red Cross, the American Heart Association, the American Camping Association, the Centers for Disease Control, the National Swimming Pool Foundation, and the National Spa and Pool Institute, among others. A Santa Barbara jury has awarded Oded and Anat Gottesman compensatory economic and non-economic damages for the loss of their child Yoni, who drowned in a Cathedral Oaks Athletic Club swimming pool in 2005. The total will undoubtedly climb, however, as punitive damages have not yet been determined. That second phase begins Tuesday at 1:30 p.m. with brief opening statements by both parties followed by testimony. Because punitive damages must still be discussed in court and decided by the jury, the judge kept in place a gag order restricting comments to the media by involved parties. 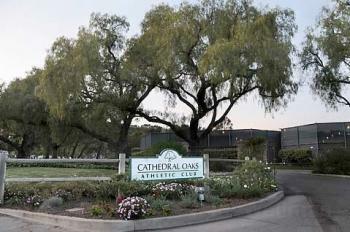 The jury needed one full day and most of two more to come to its decision in the case, in which Oded and Anat Gottesman sued 11 individuals and entities, including Cathedral Oaks Athletic Club and many of its employees, for the death of their four-year-old son, who drowned in August 2005, on the first day of a Cathedral Oaks children’s camp. The jury began deliberating Thursday afternoon after listening to more than three weeks of testimony from dozens of witnesses, including the plaintiffs and several of the defendants. One day before the trial began, 10 of the 11 defendants in the case — Cathedral Oaks Athletic Club and staffers included — admitted they were negligent in the case. Cal-West denied it was negligent and said that it didn’t oversee the day-to-day operations of the club. But jurors unanimously determined Cal-West — operated by Richard Berti and a partner — was indeed negligent, and also that this negligence was a substantial factor in causing harm. It was up to the jury to determine the involvement of the group, which oversees various health clubs in Southern California. On the stand, Berti denied close connection to the day-to-day business of Cathedral Oaks, but said he ran “financial oversight.” On the stand he blamed Cathedral Oaks manager Julie Main for many problems. He said she wore a “Cathedral Oaks hat,” not a Cal-West one. Main, however, had declared under oath that she oversaw five different clubs owned by Cal-West, a claim Berti denied. Gottesman attorney Barry Cappello noted testimony in which Berti said he had missed much of his own son’s childhood because he was so driven by business. That drive for money was one of the reasons an unlicensed child care was run at Cathedral Oaks, Cappello alleged. In Cappello’s words, a retrofit would’ve cost too much money and Berti favored “profit over protection.” Cappello also showed Berti emails in which he complained about various problems with the Cathedral Oaks property, an attempt to show the jury his heavy involvement in operations. Jerry Popovich, attorney for the athletic club and some of its workers, said Cappello’s suggestion was beyond an amount of reasonable compensation and is therefore punishment. But the jury — in what proved to be a climactic moment but with little emotion — came back with a number closer to Cappello’s. Exactly when Yoni died was a key component argued vigorously because if he had died prior to medical treatment, the defense wouldn’t have had to pay for incurred medical expenses, including an ambulance response and doctor costs. Defense attorneys, however, brought in experts who said the exact opposite, that after eight minutes in the pool Yoni had already died. After four minutes, one expert said, irreversible brain damage begins, and that eight minutes were just too much. The key piece of evidence, which Cappello called the “perfect witness” in the case, was a surveillance video that showed the pool in the time leading up to, and including, Yoni’s drowning. The grainy video appears to show Yoni being dunked and tossed in the pool by one of the camp counselors. Not long after, the boy’s body can be seen in the video floating in the shallow end of the pool for several minutes. Meanwhile camp counselors are shown inattentive at the side of the pool, and one of the lifeguards leaves his station to go buy a soda. The jury saw the video multiple times throughout the course of the jury. Yoni was only 41 inches tall, one inch shorter than the pool at its shallowest end. Cathedral Oaks didn’t have a license to run the camp, and pool time came at the end of the day, a time when a child is most worn out, according to experts who testified. It is unclear whether liability insurance will cover the damages because the facility was unlicensed. In addition to doling out damages for negligence, the jury also had to determine if willful misconduct— “knowledge that injury is probable, as opposed to possible, and conscious failure to act to avoid peril,” according to a legal definition provided by Popovich—was committed. Popovich claimed no. “It doesn’t matter how many layers of negligence you stack, it does not become willful misconduct,” Popovich said. But the jury concluded that Cathedral Oaks, Main, Cathedral Oaks general manager Charlotte Valentine, and Cathedral Oaks aquatics director Esther Clark all participated in willful misconduct. In addition, there was “clear and convincing evidence” that the conduct of the same four was done with malice, oppression and fraud, which means punitive damages will now be discussed. Since compensatory payment cannot include damages that punish Cathedral Oaks or Cal-West, or attempt to make them an example, punitive damages are in place to do that. Jurors will hear testimony and look into assets, and will award the resulting damages to the estate of Yoni Gottesman. There are various guidelines as to how punitive damages are awarded, and those will no doubt be discussed in coming days. Six months after a jury ruled that damages be awarded to the parents of 4-year-old Yoni Gottesman, who drowned at a local athletic club, in addition, former club owner Richard Berti will pay $1.5 million of the punitive damages to the family. Yoni drowned in the swimming pool of Cathedral Oaks Athletic Club in August 2005, on his first day of summer camp. Video from a security camera at the club showed Yoni being repeatedly dunked in the pool by a lifeguard and then was left alone to float face down in the pool for eight minutes. His parents, Oded and Anat Gottesman, sued the club, its management company and several club managers. The statement said the family intends to use the money they receive to increase pool safety awareness and drowning prevention through The Yoni Gottesman Foundation. Click on the button to view the pool video. Click to open the original post by Gerald Dworkin at Lifesaving site.